The kids spent the remainder of the ride home listing off the art projects they wanted to make and the games they wanted to play, while hubby raised his eyebrow and gave me a sidelong glance, “How long do you think that’ll last?” I assured him they’d be good for a couple of days at least, but it turned out I was being overly optimistic. In reality the answer to “How long will that last?” was “Until about noon on Boxing Day”. The kids won’t be heading back to school until January 9th. The problem in our house isn’t the dreaded “I’m bored.” My kids are all too quick to come up with something to do. The problem is their games of let’s pretend tend to ramp up as the day goes on, becoming more wild, more energetic, more physical, until they are quite literally bouncing off the walls. The noise level also goes up, and up, and up. Everything spinning upwards into a sort of tornado of noise and action. Until something breaks. Look, here’s an example — For Christmas the girls each got a new DC Super Hero Girls action doll. Yesterday they wanted to play with the new dolls. Once they were out of the box, the kids immediately stripped the dolls and made them swap outfits. Apparently making Wonder Woman wear Bat Girl’s sneakers is hil-ar-i-ous. The next step was to redo the doll’s hair, adding as many hair ties as little fingers could possibly jam into their long fashion doll like hair. Declaring the dolls were now rockstars the girls dubbed their new band The Super Rockers. The girls move to Grace’s bedroom and start listening to a Beatles CD. The dolls are dancing and singing along. The music gets a little louder. The girls’ voices move up a notch (or three). There are lots of giggles. Playing “superhero Beatles cover band” seems innocuous enough. The kids aren’t arguing, they are playing together, getting along… but my mom-sense is tingling. I just know that somehow this is going to end badly. I stick my head in the room and find the dolls are now flying through the air, as the girls take turns tossing them up and catching them. I ask the kids to not throw the dolls around, but I get an earnest defence from the fourth grader… These are SUPER Rockers. They need to fly! And kick high. And do cartwheels through the sky. Otherwise they’d just be plain normal rockstars. It’s a solid argument. Not wanting to break up the band, I remind the kids not to throw the dolls high up towards the light fixtures, or at each other’s heads, and leave it at that. Of course after I leave the room things continue to get louder and rowdier until there is a sudden shift from giggles and squeals of glee to bang, crash, sob, scream. Wonder Woman has lost a leg. Batgirl’s hand has come flying off, and is now missing. The six year old has a loose tooth which may, or may not, have come from taking a doll to the face. Everything dissolves into chaos, craziness and tears, of both the real and crocodile variety. This is just one vignette from a series of increasingly wild moments. Ages and stages, right? Well, this is what life is like with two kids who are old enough to play on their own and who want to constantly be together, until quite suddenly they DO NOT. We start off each day with happy calm play, but everything builds, like a storm ready to break, or a bomb ready to blow. I’ve found that while I wholeheartedly believe that it is not my job to entertain my children, it is my job to step in and suggest quiet diversions before things get to the thunder storm explosion level. Netflix is often my first choice, particularly if I have something I need to be working on, like say cooking dinner, or writing this blog post. I let the kids take turns picking shows, so they end up watching two (or four) episodes of something. Cool kids series to keep a look out for right now include Beat Bugs (if you missed this one when it premiered in the summertime be sure to take a peak — for a younger audience, but my kids still dig it and I love hearing all those Beatles covers), Trollhunters (a new Netflix original series from the amazing imagination of Guillermo del Toro — must see! 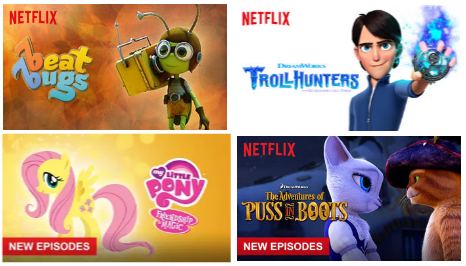 ), My Little Pony (the second half of the 6th season just hit Netflix on Dec. 20th), and The Adventures of Puss in Boots (4th season just hit the air Dec.16th). My second choice for a calming distraction is to break out the coloured pencils and colouring books. It’s always an easy sell to get the kids involved with colouring and drawing, (or say updating their own How to Train Your Dragon guide book). Unfortunately I know this will only distract my tornado-like six year old for fifteen to twenty minutes max. I find that I can double, or triple, the time spent colouring by getting down on the floor and joining in (and hey, it’s nice to have an excuse to sit and colour, right?). My third choice is board games. The only reason this clocks in at third place is it requires me to dedicate 100% of my attention to playing a game with the kids. While I love playing with the girls, sitting down for an hour to play board games isn’t always the most practical (or possible) choice. They are capable of playing many of the games we have on their own, but then they tend to get silly and over-excited, which sort of negates the entire calming thing. Top games hitting our table right now include King of Tokyo (think king of the hill meets giant monster movies), Robot Turtles (learn programing basics, like when we used to play Turtle graphics at school in the 80s), and Magic Labyrinth (a memorization game with a very cool invisible walls via magnets gimmick). My fourth choice would be offering the kids the iPad to play on. Most of the games they have on there are of the calm, quiet, educational, variety. I sometimes hesitate to go with this option because if they are already close to the boiling point it’s far too likely arguments will ensue over who’s turn it is, how long turns should be, and what game is getting played. I have a zero tolerance policy for bickering when it comes to iPad time. The kids know they need to get along, or Mom takes the screen back. Which means if they are already riled up from previous wrestling matches, or crazy super hero karaoke sessions, this diversion won’t last long. As an aside, if you’re looking for some solid iPad kids’ apps, my top recommendations are Reading Rainbow’s Skybrary (one of the few children’s apps I am willing to pay for, over 600 illustrated read aloud books make this well worth the subscription price of $6.99 a month or $40 for the year), ScratchJr (learning to program, made fun), and Putt Putt Travels Through Time (downloading the Lite version will allow you to play the first chapter of the game for free and see if your kids like this point and click quest series as much as mine do). Again, this places low on the list only because it requires my undivided attention. The six year old doesn’t read well on her own yet. 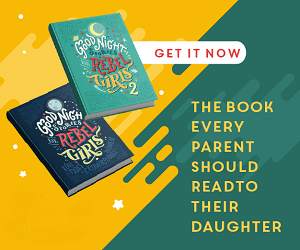 While big sister is normally happy to read aloud to her fights can ensue, especially if things were already close to reaching boiling point when I stepped in and suggested changing to a quieter activity. Which means that by suggesting reading I am volunteering myself as chief storyteller. Building pillow forts and creating cozy reading nooks can be a great diversionary tactic. Often the kids get distracted with setting up the perfect reading spot set up, and making it all just right can take up more time than the actual reading does. Current favourite reading time addition? These cozy mermaid tail blankets I bought the girls for Christmas. So, what about you folks? What calm down activities or diversionary tactics do you break out when the kids get rowdy? Do you find that if you leave your children to play alone together for too long they start to bounce off the walls? Or is this tendency towards chaos and wrestling just a problem in my household? Oh yea, by suppertime they are literally bouncing off the walls! I have four of all ages and I find I have to make everyone have alone time, even the teens! Mine have all taken turns being sick (me too) and we’re in a rural area and can’t get out much. The weather has been crappy, for alot of outside play too. So it’s been a challenge! I think every household with two or more kids goes through this at times. Your suggestions to calm things down are spot on. Netflix has some wonderful programming and series for kids. Of course, colouring, playing games and doing projects can keep the kids busy for hours. And don’t forget Lego! We once built an entire Alien land on our dining room table. Just making the aliens was so much fun: some had windows for tummies, heads where arms should be etc. etc.